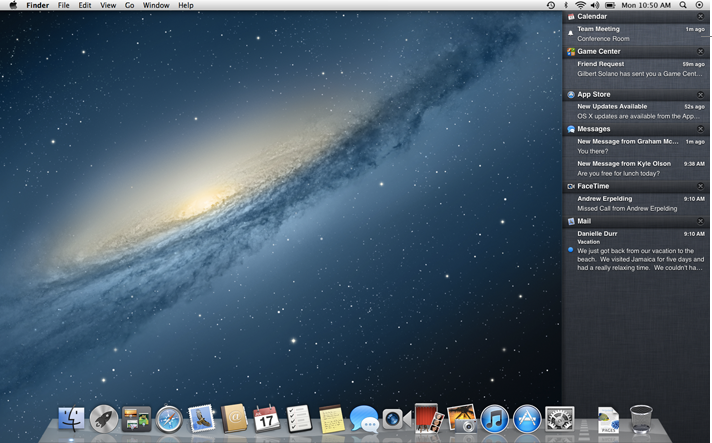 Today, Apple announced its new PC operating system that will be available this summer: Mountain Lion (OS X 10.8). It is an implementation of their iOS (Apple’s operating system for iPhone, iPad and iPods) on Macs and the company makes it clear on their website: “Inspired by iPad. 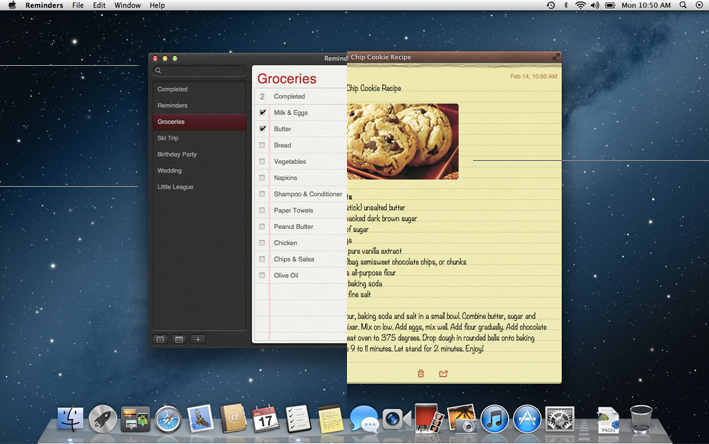 Re-Imagined for Mac”. After the launch of iCloud, a service that allows you to synchronize all your apple devices wirelessly through the internet, the synchronization between Apple products was made easier and now it is even better! 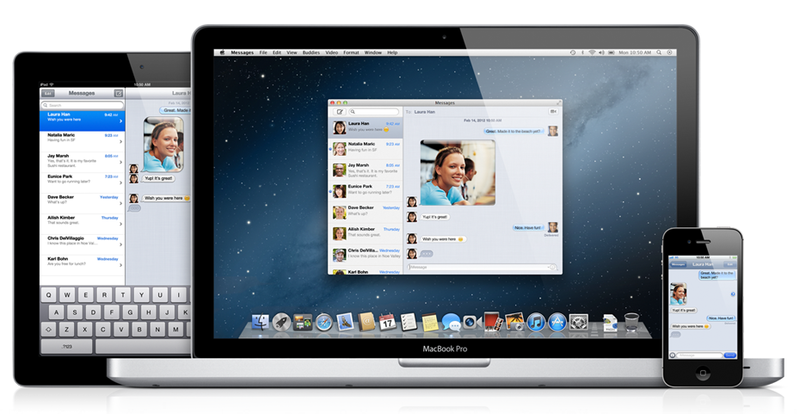 iMessage, which was launched with iOS 5, is a free instant-messaging/chatting service between iPhones, iPods and iPads. 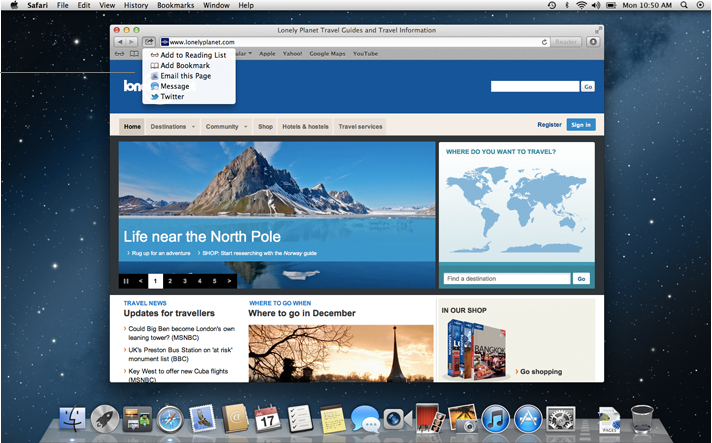 Mountain Lion made this service also available on Macs and personally, I think this is a great initiative. You can download the Beta version of Messages NOW! – Click here. With previous operating systems, Apple never offered proper integrated apps to manage reminders and notes but they did on the iOS with two apps: Reminders and Notes. 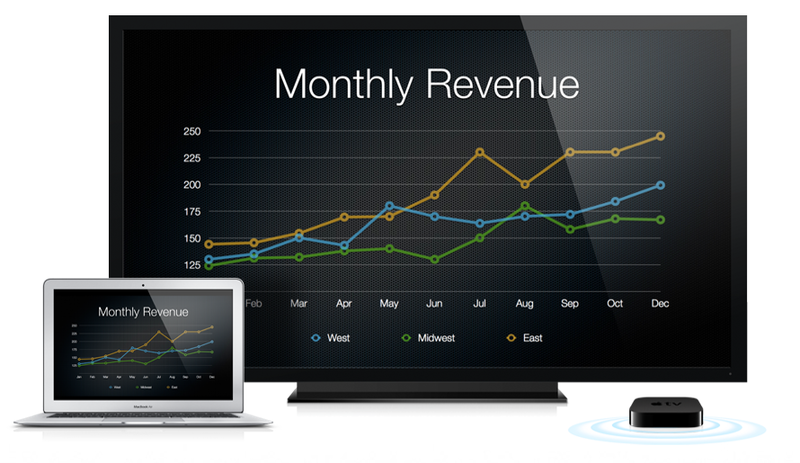 Those apps are now available on Macs and makes synchronization with iDevices easier. Nowadays, sharing articles, photos and videos over the internet is an important part of our daily life and the new system made the process easier by introducing a built-in share button into Apple apps that would allow you to add something to your reading list, add a bookmark, to send something by e-mail, to share through the Message app and to share via Twitter. 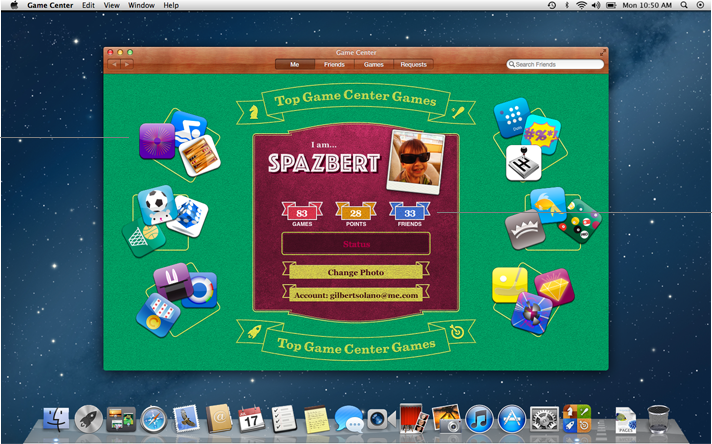 The famous Game Center available on iOS which purpose is to manage your high-scores in the games you play on iDevices and to compete with friends and people around the world will also be added to your Mac. 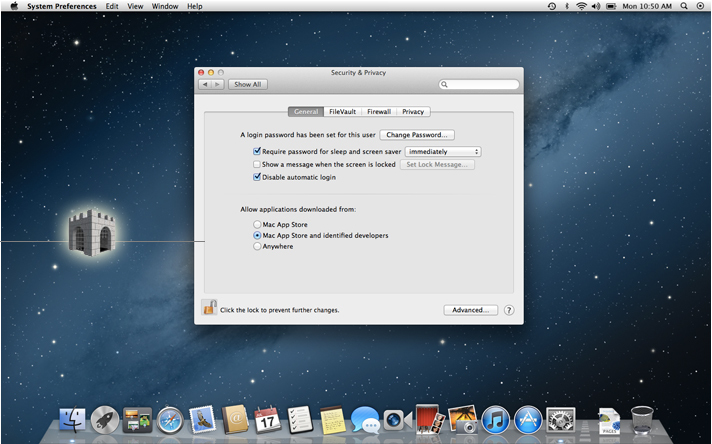 OS X is already considered as a safe system comparing to Windows in terms of viruses and malware and now with Gatekeeper it will become even safer. This service will allow users to choose between three options: Download apps only from Mac Store, from both the store and identified developers or from anywhere. Transforming iOS into OS X makes life easier for Mac lovers like myself who use a Mac and an iPhone and any other Apple product. 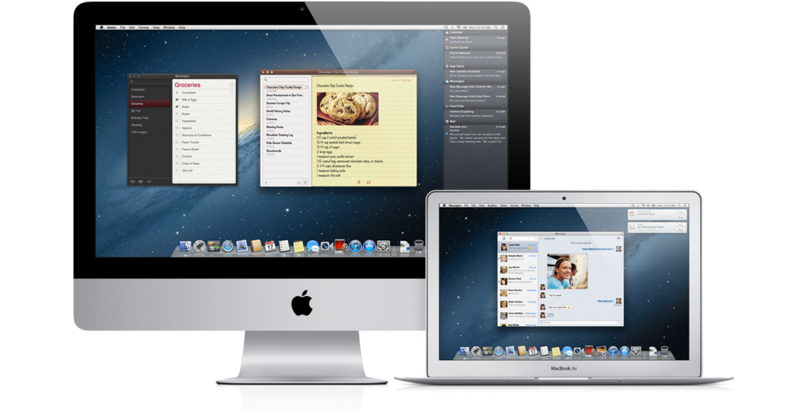 With Mountain Lion, when you are working on your PC you can nearly forget about your iPhone and manage a lot of stuff from your MacBook. Moreover, Notification Center will make your Mac stuff easier to manage and I’m saying this based on the lovely experience I am having with the iOS 5 on my iPhone. In terms of business, the sharing sheets will push Twitter integration to a bigger level and thus will reinforce relations between Apple and Twitter. Concerning Apple TV it is not a very well-known product comparing to the iPhone, iPad, iPod or Mac but, I really recommend you to go and check about it: I’ve got one lately and I really loved the product and thought that only service missing is the PC streaming and now with the integration of AirPlay this problem is solved. Finally Gatekeeper will definitely push apps developers to use the MacStore to try and reach a maximum of Mac users and this will give Apple a greater level of control over apps while users also will enjoy an easier and safer process of apps downloading and management. Next Post You Have The Chance To Win a $10,000 App Store Gift Card From Apple!